Nestled in the backdrop of one of the most beautiful mountain villages in Thuringia, this holiday house room offers you a break. At the end of 2012, in order to cater to the needs of guests seeking tranquillity, the house was remodelled and now has a modern furnished living area, where a fireplace provides cosy warmth in the evenings. A fully-equipped kitchen, a cosy dining area and an inviting lounge area form the heart of the house. On the ground floor you will also find a bathroom with shower and a rustic-cosy corridor and relaxing area. One of the two bedrooms, which are located upstairs are each equipped with a TV set, a bathroom with shower and a sofa bed. 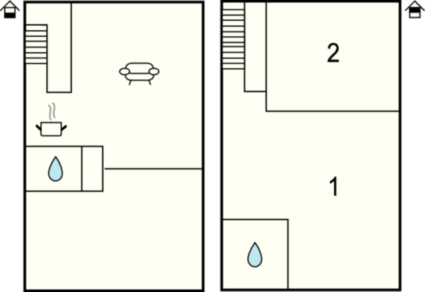 In the enclosed garden, guests will find a garden shed and a designed relaxing place. 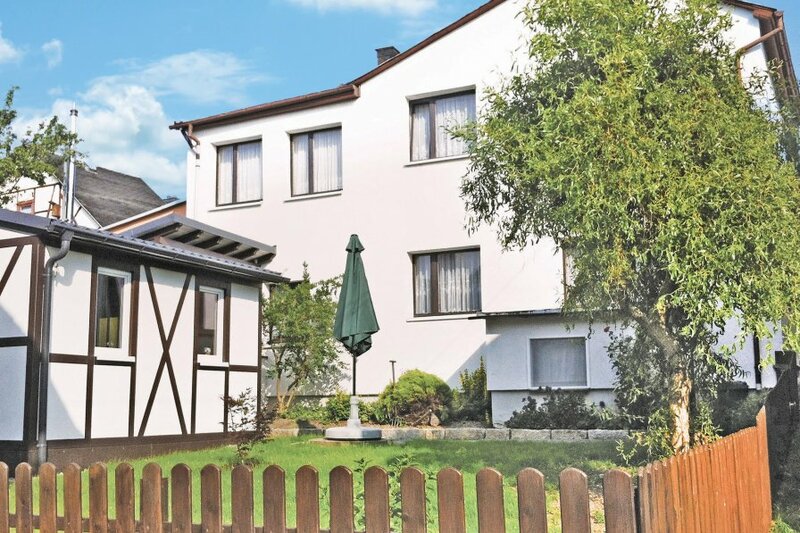 Whether a tranquil stroll in the woods, a hike along the Rennsteig or bike rides in the Schwarzatal: this house is a perfect starting point for your holidays. Pets are allowed on request. This beautiful house is made from brick or stone and was originally built in 1923 and refurbished in 2013. The agent has rated it as a four star property so it is a well-equipped house with above average furnishings. It is also great value for money. The houseIt is located in Herschdorf, only 15km from Ilmenau. The nearest airport is 50km away. It is set in a good location, 15km away from the skiing sport facility: there is a restaurant 2km away. You can also park on-site at no extra charge. The house is well equipped: it has a refrigerator, microwave, washing machine and dishwasher. It also has a barbecue, a garden and some garden furniture outside.